It’s no secret that Los Angeles has some of the best Chinese food outside of China. A lot of the best places, however, are concentrated in the San Gabriel Valley, which is a trek for some folks. For the longest time, the best Chinese food outside of the San Gabriel Valley were mom-and-pop shops serving Cantonese cuisine with an Americanized flair. 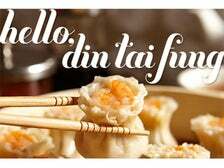 In recent years, San Gabriel Valley powerhouses like Din Tai Fung, New Port Seafood and Little Sheep have expanded west. Following them are a slew of more entrepreneurial spots like New School Kitchen for dim sum takeout and Pine & Crane for farm-to-table beef noodle soup. These days, if you’re outside of the SGV there’s no reason to complain about the lack of good Chinese food - you just have to know where to look. 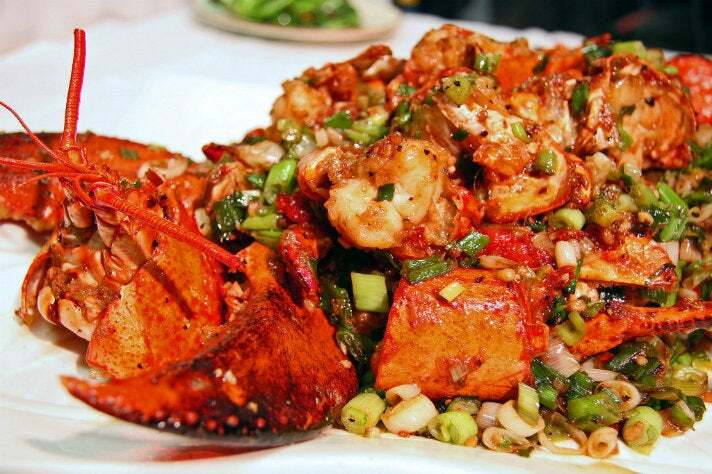 Here’s a guide to the top Chinese restaurants outside the San Gabriel Valley. These tiny pockets of soup and pork are L.A’s most treasured dumplings. 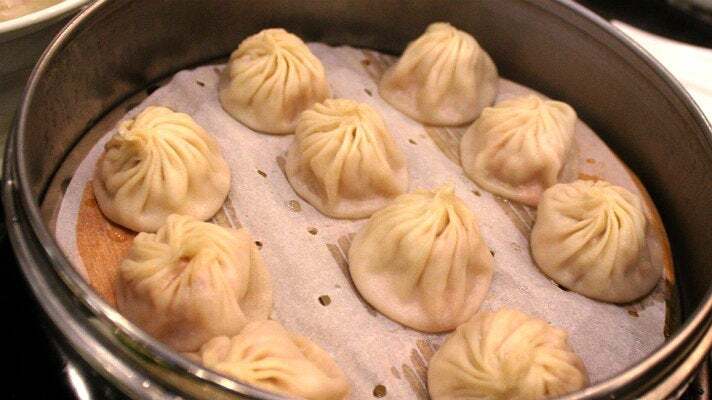 Din Tai Fung is a worldwide chain from Taiwan that has developed quite a cult following. They opened their first U.S. location in Arcadia, and in 2013 delivered a massive outpost in Glendale’s Americana at Brand. 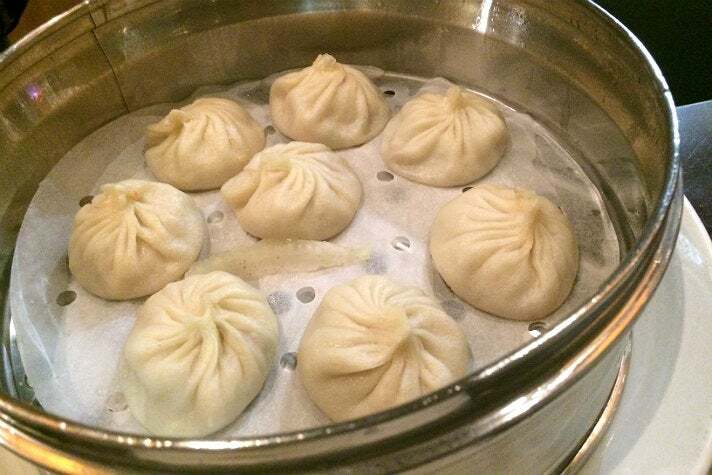 In Chinese, xiaolong means "small steaming basket" and bao means "bun." We recommend the pork and crab version - it’s the most traditional of the bunch. Unique to the Glendale location: a full bar, valet parking, truffle dumplings and a waiting list that will text you when it’s your turn. Little Sheep’s Mongolian broth is so renowned that at one point they were selling it dehydrated in packs. 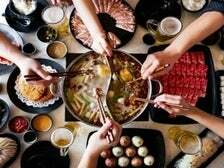 They specialize in Mongolian-style hot pot - the broth is dark, earthy and enhanced with spices including cumin, soy beans, Sichuan peppercorn, cloves and of course, MSG. The restaurant is set up so that each table gets their individual pot - you order ingredients a la carte. We recommend the lamb shoulder, which is imported from New Zealand and sliced paper thin. Little Sheep has locations across Los Angeles County. All of them are concentrated in the San Gabriel Valley with the exception of the Torrance branch. 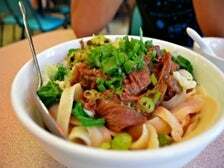 At last, there are handmade noodles in the San Fernando Valley. Hailing from Northern China, the management at Mandarin Deli features spectacular dao xiao mian - thick, chewy noodles shaved by a knife in-house. The restaurant got their start in Monterey Park, but their Northridge location has a nearly identical menu. The beef noodle soup is a combination of tender beef shanks, scallions and pickled radishes in a fragrant soup base. As is typical with Northern Chinese restaurants, dumplings and other dough-based dishes are abundant on the Mandarin Deli menu. Note: you have to ask for the handmade noodles. 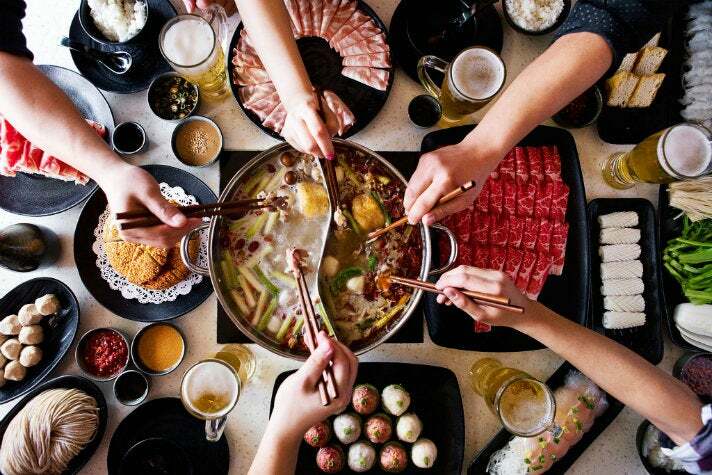 Meizhou Dongpo is a Beijing chain restaurant specializing in Sichuan eats. 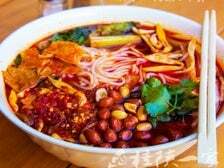 Their menu is extensive and filled with spicy fare, such as dan dan noodles drenched in chili oil and tender sole covered in fresh hot peppers. 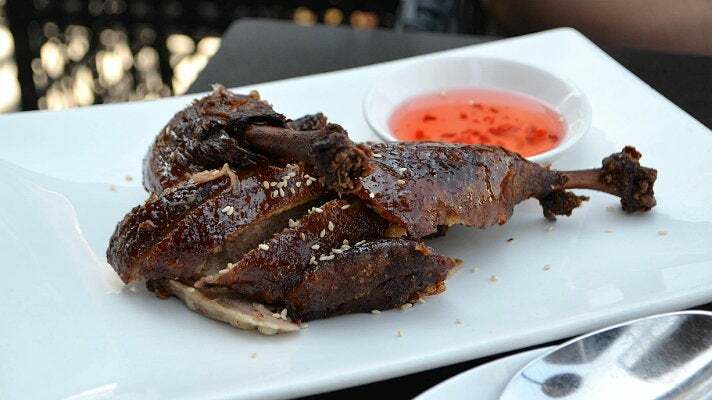 Though it’s not spicy, the duck is a standout dish - after all, it’s their specialty. Listed on the menu as Meizhou roast duck, it’s white roasted and served with pancakes, cucumber, scallions and signature duck sauce. It’s $70 for a bird prepared that way, but if you’re on a budget, the briny crispy duck is a good alternative - it’s sweet-glazed and topped with sesame seeds. The New Port brand has long been the gold standard for elaborate Cantonese/Southeast Asian seafood in Southern California. They’ve been in the Southern California Chinese dining scene since 1988 and finally made their expansion out West with a Beverly Hills location in 2014. This is the place for Chinese-style lobster. 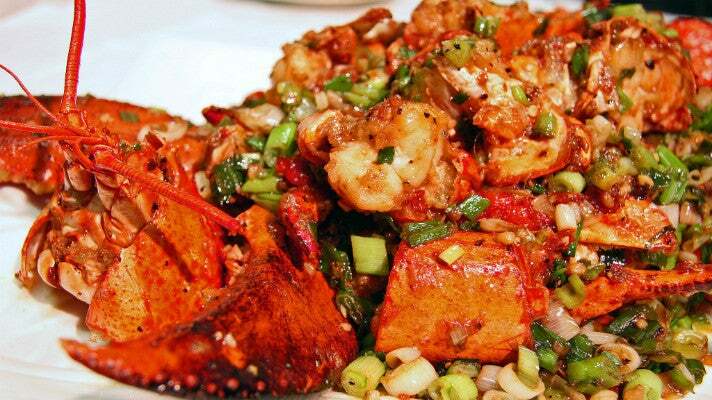 The glorious crustacean is sautéed with garlic, chilies, scallions and clarified butter. Pair it with a side of stir fried egg noodles (yi-mein). Take people here to impress. Pine & Crane is known for home-style Taiwanese beef noodle soups with vegetables sourced from their family farm in Northern California. Their menu rotates seasonally, which is rare for an Asian restaurant in Los Angeles. 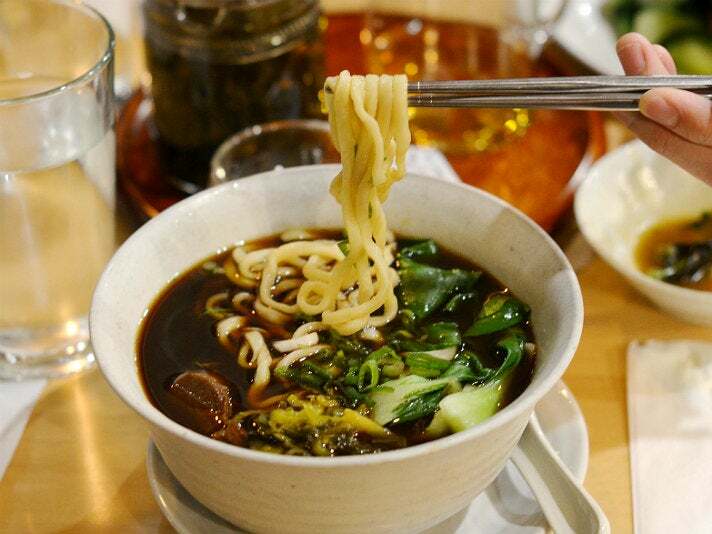 Owner Vivian Ku’s grandfather used to own a noodle factory, so we suggest targeting the noodles on their menu. The dan dan noodles, seasoned with sesame-peanut sauce, chili oil and cucumbers, are refreshingly vegetarian and worth a try. 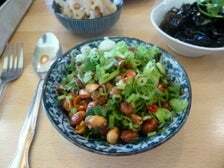 Avid lovers of Northern Chinese food and Guilin noodles don’t have to look far to get a taste of home. 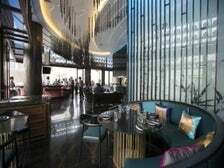 Qin West pays homage to Shaanxi and Guilin cuisines. It’s an odd combination, given that the regions are on completely opposite sides of China, but it makes sense when you learn that the owners have lived in both regions. 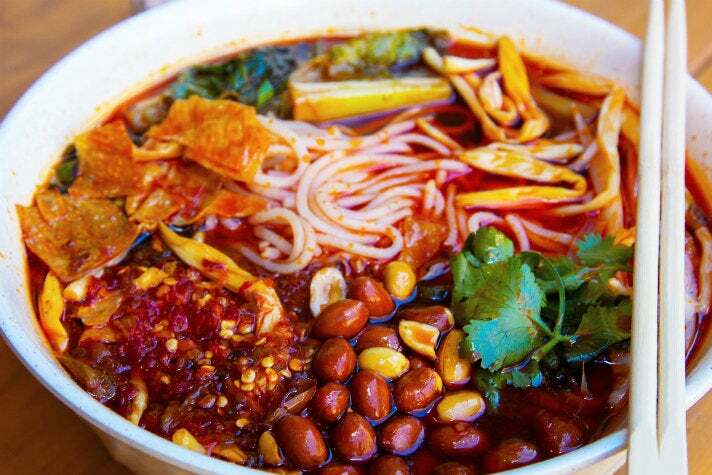 Think long bouncy noodles drenched in vinegar on the Shaanxi side, and rice noodles cooked in hot and sour soup for Guilin. They have two locations, one in historic Chinatown and the other in Westwood. Former employees of Din Tai Fung opened ROC Kitchen, no doubt looking to capitalize on the soup dumpling craze. 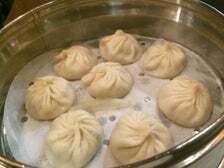 The pockets of soup and meat are less flavorful than Din Tai Fung’s versions, but sustainable enough to fulfill the craving. Start with an appetizer of pickled cucumbers, then try their great rice cakes and beef noodle soup if the dumplings are not enough. In case you were wondering, “ROC” stands for Republic of China.